Whether you are building a new house, apartment complex or assisted living facility or you need to remodel your existing building, we are your full service plumbing company. We are a full service company which means, not only do we install all aspects of plumbing in your new building, we can also service it. So although the initial installation of your pipes, drains and fixtures is important, so is being able to efficiently and effectively service them for years to come. That’s where Glacier Point Services can help you out, so contact us now! In order for your employees and clients or customers to be comfortable in your facilities, your mechanicals need to be working as designed. GlacierPoint Services is your full service company that makes this their priority. You have enough on your plate keeping your bottom line, let us worry about the plumbing. Our kitchen facility maintenance programs are suited for your hectic operations. Not able to have maintenance work done during business hours, no problem we are available 24 hours a day 7 days a week. Are you experiencing a problem in any mechanical system in your building that is taking from your bottom line? Let us help. Your bottom line is our bottom line. Any complex system that needs installation, maintenance or redone, give us a call. Let us give you a quote. Is your infrastructure outliving its usefulness? Call us for a quote. We have done it all from utility work for entire communities and neighborhoods to simply setting up your irrigation system. We can also maintenance any system. Let us help you turn your reality into your dream! Clogged toilet or slow draining kitchen sink? Call us! Bubbling or gurgling drains or backing up septic? Call us! Large pipes or small pipes! No job is to big or too small. We’re plumbers! We don’t mind getting our hands a little dirty while keeping your house, or business clean. We are one of the only plumbing companies in the Fairbanks area outfitted with the tools to do the job. We are a plumbing, heating, pumping and thawing company! Give us a call at 907.451.4382 or visit our contact page. We work on all systems! In Fairbanks, if you don’t have an efficient heating system, you will know it. You will see the fuel truck way more than you want to, and/or your house will be uncomfortably hot or cool. 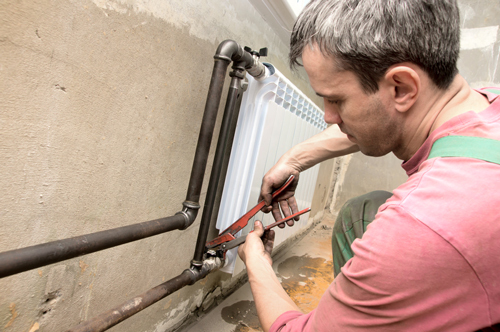 Here are some things to think about when you consider your heating system. Do you have any rooms in your house that are too warm or too cool? You need our services. Does your system make excessive noise or a loud boom when it comes on? You need our services. Is there a smell of exhaust or fuel in your home or the room with your heating unit? You need our services sooner than later. Do you have a CO monitor that is going off? You need our services sooner than later. Is there a “taste” in the air of diesel or exhaust? You need our services sooner than later. Has it been more than a year since you’ve has a “thorough cleaning” of your heating system by a licensed and reputable company? You need our services. Do you want tips and advice on getting the maximum efficiency from the system you have now or ideas on replacing your current system for a more efficient one? You need our services. Are you tired of complicated and expensive service plans and just want the job done for the best possible price? You need our services. Do you want products with years and years of proven reliability and experience, instead of the next thing to come from the Big Box Store that’s only been here a few years? You will want our services. Do you want someone that can work on (and is licensed to)both your heating problem and your plumbing problem? So you don’t have to call another company and pay an arm load? You need our services. Do you want a technician that is , experienced, fluent in and certified to work on your system or just someone who is winging it? You need our services. Do you want a company that does not tie you down with contracts, forms and so-called “book prices.”. As far as we are concerned, if it sounds like a gimmick, it probably is. You need our services. Does your current technician or company take less than two hours to perform a “thorough tune and clean?”. We have one of the most extensive cleaning checklists in the area. 28 seperate items are checked, cleaned and or tested. If you aren’t seeing exactly what is being done, you may need to call us. 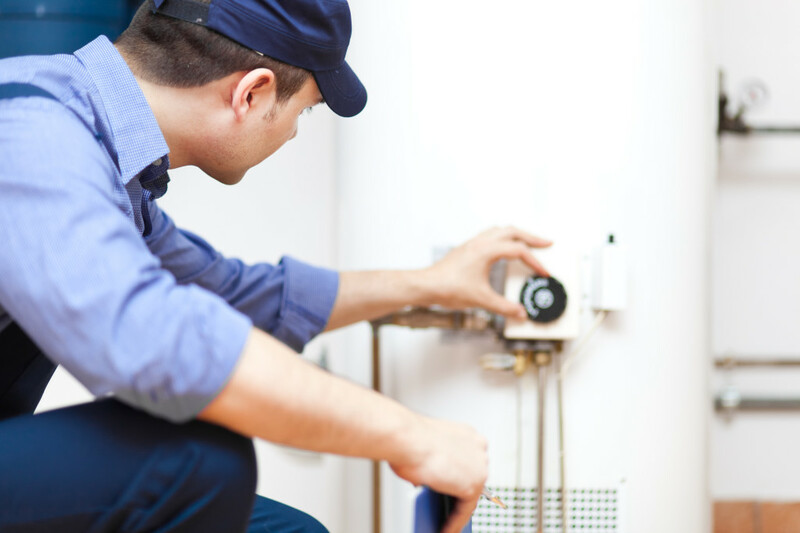 If you have low hot water pressure or less hot water pressure, you need to call us. If you have water or a any substance leaking from your pipes or you see evidence that there has been something leaking, you may need to call us. If you have excessive noise in the pipes throughout your house or office, you need to call us. If you’ve said yes to any of these items, call us at 907.451.4382 for more details or for scheduling. There are a lot of reasons to have to call a heating company. There are even more reasons to call Glacier Point Services. At -40 Below in Fairbanks, boiling water thrown into the air freezes before it hits the ground! Plumbing doesn’t fare any better! Leave a door or a window open for a few moments too long and it could cost you $1000s of dollars in damages. Glacier Point Services, Inc. is there to help. Whether it’s a frozen spigot for the garden or the whole house is frozen, we can take care of it. Our steam services thaw most frozen sewers in moments and we are available 24-7. If you hear gurgling or bubbling in other drains when you are running a drain, this may be a sign that your drain is frozen and/or plugged. If your toilet doesn’t go down or there is water coming up in a drain somewhere in the house (generally the lowest drain) you may need us to come thaw your line. Please call Golden Heart Utilities or College Utilities at 479-3118 to have them send someone out to check their main. If your water doesn’t work and you are on Golden Heart Utilities or College Utilities, please call them first at 907.479.3118 to see if they are doing work on their system that may cause the water to be shut off. After that, your water lines may be frozen, so call us 24/7. We can thaw with electrical current (thaw box), hot water or steam depending on the situation. Spring and Fall are prime times for in-ground pipes (water and sewer) to freeze. During these times the frost layer is on the move and may affect your pipes. Common prevention tip for freezing sewer lines and freezing water lines is “run more water.” However, this might not always be possible or effective. Our general rule of thumb on frozen sewer lines is if it freezes more than twice or three times in a winter, it’s time to have the line video inspected. We do not recommend internal heat traces in sewer or septic lines! We can remind you when your septic tank is due for a pumping. This program offers you peace of mind without having to worry about remembering. SIGN UP! While it might not seem like maintaining your septic system is important, it could save you thousands of dollars in repairs and cleanup. The Alaska Department of Water recommends that septic tanks are pumped once every two years or sooner. Septic tanks that are subject to receive more than average grease, chemicals, or has a disposal and or Jacuzzi or whirlpool hot tub draining into it, should be pumped sooner. For more questions about how your system works check out the Alaska Department of Water. Are you looking to buy a home with a septic system? Do your research! Was my system installed by a certified installer? When was my system installed and by who? In the past, fixing a problem like this meant blindly digging up the pipe and crossing your fingers that you (A) dug up at the right spot up and (B) there were no additional problems that will need to be dug in the future. As Stack Company, our former name, we pioneered closed circuit video inspection of pipes in Fairbanks. The only people doing it before us were the Utilities. From 3″ (diameter) pipes to 30″ (diameter) pipes, we can inspect them all. How do you know you may need an inspection of your sewer or septic line? You’ve had more than 1 main line backup (entire building) in 1 calendar year. You are thinking about purchasing a house or building. Although plumbing problems are to be disclosed before the sale goes through, many are not! There is major road work in the area and may adversely effect your utility hookup. Many of our customers call us after experiencing problems that only started shortly after work was done on the street or ally that serves their building. This sometimes turns into a very expensive and very stressful time for people and they have no control of it. You are getting ready to sell your property and you want to be free of any legal or financial burden that has to do with the plumbing. Maintenance reasons: make sure line is clean! Are you planning on doing any major digging this year? You may want to call us first. Unintentionally digging up a pipe, whether it’s yours or not, could be potentionally very expensive and very dangerous. We can show you where the sewer and water pipes are run. *Unfortunately at this time we cannot locate ductile iron pipe or plastic (hdpe) water lines without a trace wire. Have you recently received a letter from Goldenheart Utilities or College Utilities regarding a test on a “backflow preventer” and their Cross Connection Program? Not sure what to do, or who to talk to? We can help. This is a fairly new program the utilities are instituting to prevent non-potable water or any other hazardous substance getting into the cities main water supply.